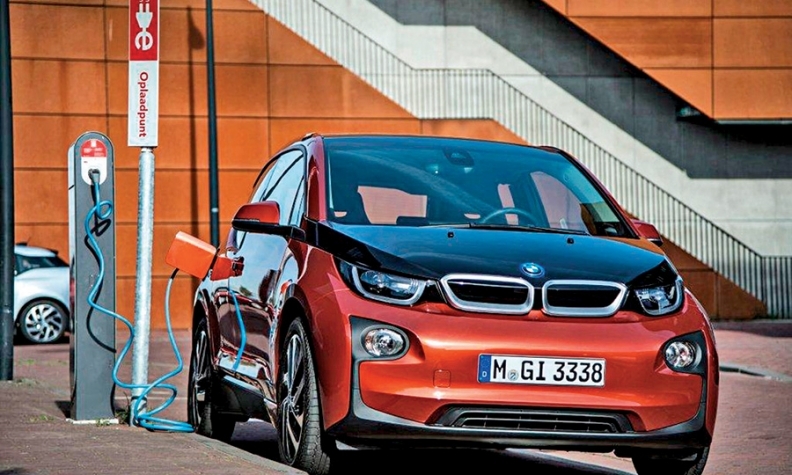 SGL and BMW produce the carbon fiber used in the carmaker's i subbrand models, including the i3, shown. MUNICH (Bloomberg) -- SGL Carbon SE, which makes carbon fiber for the auto industry, will sell new shares for about 267 million euros ($339 million) to repay debt and make investments in growth. SGL, which counts BMW Group, Volkswagen Group and BMW heiress Susanne Klatten as its three biggest shareholders, has suffered from overcapacity in the global steel industry, which has reduced the price of graphite electrodes to that market, the company's biggest business. All three major shareholders have committed to buying stock in the new issue, which gives investors the right to buy seven shares for every 25 shares they already own, SGL said in a statement. Klatten, the single-biggest investor, is also SGL chairwoman. "The future strategic alignment of SGL Group is based on the consistent restructuring or disposal of loss-making business activities, improving the profitability of our business operations and exploiting new market opportunities in growth fields," CEO Juergen Koehler said in the statement. So far this year, the company’s stock has declined about 40 percent, valuing SGL at 1.23 billion euros. SGL also has boosted its cost-savings goal by 50 million euros to 200 million euros by the end of next year. The company said it plans to sell more money-losing units. SGL has 625 million euros in outstanding debt, with a 135 million euro installment due in 2016, according to data compiled by Bloomberg. BMW and SGL produces carbon fiber, which is used extensively in its electric i3 and i8 plug-in hybrid. The automaker is the second-largest shareholder in SGL, with an 18.4 percent stake in the company. Klatten's investment company, SKion GmbH, has a stake of about 28 percent in the supplier. Klatten also is part of the Quandt family, which has a 46.7 percent stake in BMW Group. VW Group has a share of about 10 percent in SGL.